BIOSTAR has officially launched their latest edition to their high-end motherboard lineup, the Hi-Fi A85X. 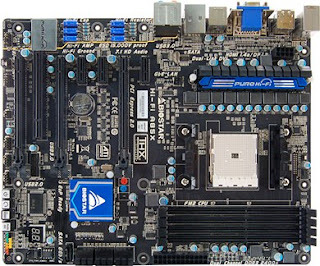 This newest ATX form factor motherboard supports all AMD Socket FM2 CPUs and offers native support for SuperSpeed USB 3.0 and dual-channel memory up to DDR3 - 2400 in over-clocking mode. Socket FM2 is a CPU socket used by AMD's upcoming Trinity Fusion APU's which will also utilize AMD's new A85X chipset. 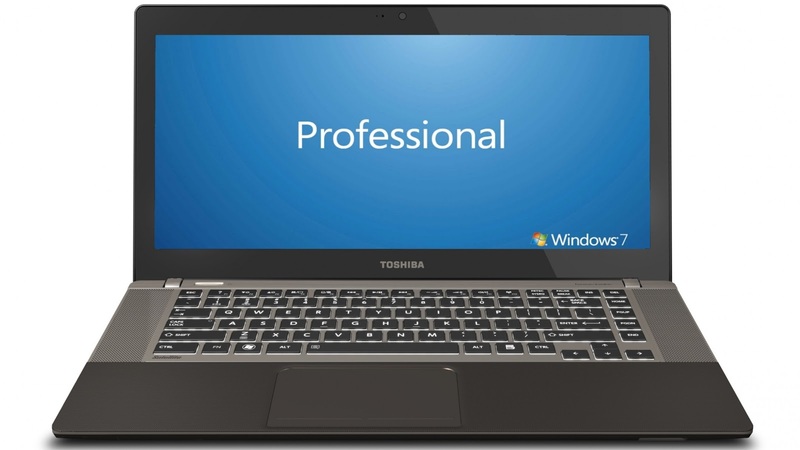 The Hi-Fi A85X has also received the official Windows 8 hardware certification from Microsoft. One feature set that sets the BIOSTAR Hi-Fi A85X above and beyond typical motherboards is the integrated BIOSTAR Hi-Fi technology called “Puro Hi-Fi Technology”. Marketing Manager Eric Tung gets excited when given a chance to explain the value proposition with these motherboards. “It’s pretty cool how we have put a unique power delivery system just for the audio aficionados out there, like me” explained Eric. “With our professional quality sound and video capabilities on this board, a user can set up a full PC based home theater system with full THX support and true 7.1 surround sound…I mean the real thing, this isn’t simulated. You have to hear it to believe it”, he enthused. Targeting audiophiles, HTPC enthusiasts and high-end gamers alike, Puro Hi-Fi sports an integrated independent audio power design with a built-in amplifier. The technology utilizes audio components with an independent power design for a significant reduction in electronic noise producing superb sound quality. The unique noise-blocking multi-layer PCB layout is conducive for an exceptionally clean signal. That design feature, together with a sampling rate of 192kHz/24-bit, delivers a high quality audio through an analog connection to your home theater system, multi-channel speakers or high-end headphones allowing you to enjoy true high-definition 7.1-channel surround sound. Part of the Puro Hi-Fi design includes high-quality “Non-Polarized Electrolysis Electric audio capacitors” for each individual audio channel circuit delivering low noise, low distortion, and a wide bandwidth to achieve the highest sound resolution and sound expansion for the most realistic sound effects. Furthermore, the resistors used by the system are of the metal-oxide film type with metal oxides such as tin. The electric characteristics are that of greater stability and reliability than regular metal film resistors when operating in an extremely broad working temperature range. These special components are typically used in applications with high endurance audio demands. With BIOSTAR’s implementation of four unique technologies, Puro Hi-Fi, THX, Lucid MVP and SmartSpeedLAN, the brand new Hi-Fi series of motherboards increases sound, network and graphics performance dramatically. For a powerful gaming masterpiece with even a limited budget, this new Hi-Fi series motherboard is the best choice and will become a new favorite among gamers and movie watchers. 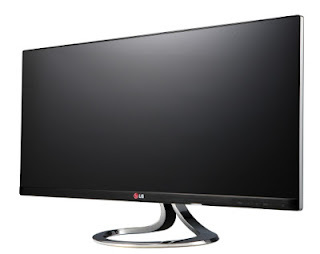 LG Electronics (LG) unveiled two new premium IPS monitors at the IFA tradeshow in Berlin, the EA93 and EA83. The EA93 is designed to enjoy variety of entertainment and the EA83 is specifically crafted to handle graphics-intensive applications. The most noticeable feature on the EA93 is the cinematic screen, a 21:9 display – the same ratio used in real movie theaters –that works as a superb solution for home entertainment and multitasking. The EA83 lets consumers take advantage of Wide Quad High Definition (WQHD) resolution (2560x1440 pixels). WQHD offers ample screen real estate for power users looking to multitask and provides one of the widest color spaces available. The monitor accurately reproduces 99 percent of the Adobe RGB color palette, providing graphics experts with a superior level of imaging quality. The 29-inch EA93 boasts 2560 x 1080 resolutions, and since the aspect ratio is identical to that of a typical movie theater screen, contents are shown just the way they were in-tended. But it isn’t only the size of the screen that makes the monitor so adept with multimedia, the EA93 accurately captures 100 percent of the defined sRGB color space, and the monitor delivers 300nit brightness for higher quality, more lifelike colors. Put simply, IPS technology plus a cinematic screen is the ideal combination for entertainment. The extra-wide screen is also useful in work situations, helping to improve productivity. The 4-Screen Split feature can divide the display into four segments, transforming the monitor into an advanced multitasking tool. The additional Dual Link-up function al-lows two devices to connect to the monitor simultaneously. Sharing files from two de-vices at the same time - a PC and a Smartphone - has never been easier. The EA83 was designed to be a comprehensive monitor solution for filmmakers, photographers, designers, and other graphics experts by providing a combination of superior resolution and lifelike colors. The WQHD (2560x1440 pixel) high resolution IPS monitors provides vivid picture quality while featuring one of the widest color spaces in its category. Expressing colors not available within sRGB, the EA83 is able to display 99 percent of the Adobe RGB color space and gives graphics professionals the exact colors they’re looking for. LG’s innovative IPS monitor is capable of producing images that are practically identical to their real-life counterparts. The EA83 ships with soft-ware and hardware color calibrators, enabling graphics professionals to ensure that the screen always displays the most accurate and natural colors. Toshiba Singapore Digital Products & Services Group (DS) has announced the growth of its Ultrabook™ product line with the introduction of the Satellite U840W Ultrabook, the world's first Ultrabook™ that offers a 21:9 cinematic display. The Ultrabook™ offers a balanced blend of style, entertainment, productivity and portability powered by the latest 3rd generation of Intel® CoreTM processor. The Satellite U840W Ultrabook was unveiled to the media recently in Kuala Lumpur during an event officiated by Mr. Tay Choon Song, Senior Manager of Marketing Services & eBusiness, Toshiba Singapore Pte Ltd and Mr. T.Y. Chow, Senior Manager of Personal Computer Division, Tele Dynamics Sdn Bhd, Toshiba’s Mobile Computing Partner in Malaysia. In his presentation, Mr. Tay said “We started the notebook PC business in 1985 and for the past 27 years, we have launched many products. We always try to have a unique product that is a World-First because Toshiba’s top brand promise is leading innovation. You cannot be leading the way for notebook innovations unless you continue to launch World-First products. This is part of Toshiba’s DNA and today, we are proud to announce the launch of the Satellite U840W Ultrabook to add to that list. The media were also given a first-hand look at some of the other latest releases from Toshiba during the unique launch which was held at the Deep Living Show Gallery on Jalan Yew, Kuala Lumpur. They included the Satellite U840W Premier Series Ultrabook, Satellite P840 Series and the REGZA LX800 series All-In-One PCs. “As an ISO 9001: 2008 certified Company, Tele Dynamics consistently delivers quality products and services to our customers through our ten Toshiba Service Centres located nationwide. 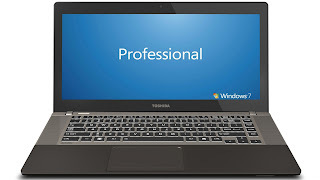 Our new store will encompass an even more complete range of Toshiba’s notebook PCs, options and accessories. In addition, consumers who purchase the Ultrabook or any Notebook PC from the Premium series will be guaranteed 1st year on-site service absolutely free,” said Mr. Chow. The entertainment-optimized Satellite U840W offers premium features and design in an ultra-slim form factor. Designed with movie enthusiasts and productivity power users in mind, the Satellite U840W is the first Ultrabook™ of its kind to feature a 14.4-inch diagonal Ultra-Wide HD Clear SuperView display with a cinematic 21:9 aspect ratio. This display is ideally suited for movie buffs looking to enjoy 2.35:1 movies in their original format – without the black bars commonly seen on most notebook displays. The distinctive display is also ideal for multitasking, providing more space for better split-screen viewing of word-processing applications, streaming videos, social networking, browsing and instant messaging. To make it easy for consumers to utilize the extra display space, the new Toshiba Split-Screen Utility offers pre-configured and custom viewpoint grids, supporting multiple windows on the display. The Ultrabook’s high-grade picture quality is complemented with the natural sound delivered through stereo speakers from Harman Kardon® and SRS Premium Sound™ 3D audio enhancement. The Satellite U840W impresses with its premium feature set and also attracts attention with its striking design. Precisely constructed of machined aluminum with luxurious soft-touch trim, the Satellite U840W delivers sophisticated styling and comfort in a lightweight package that is less-than-an-inch thick. An LED backlit raised tiled keyboard and ClickPad™ on the inside round out the refined design. Featuring the latest 3rd generation Intel® Core™ processor and its enhanced graphics capabilities, the Satellite U840W is an ideal mobile companion for premium entertainment and state-of-the-art productivity. For users seeking outstanding performance and superior HD entertainment, the Satellite P840 Series is a high-definition entertainment powerhouse that offers the latest CPU and graphics processing. Complete with a premium audio and video experience, the Satellite P840 Premier notebook pc series are perfect to handle a wide range of demanding tasks, from content creation to media management and playback to mid-range gaming and more. The REGZA LX800 Series All-in-One Desktop computers are ideal for the home, be it for the bedroom, living room, study room, etc. These stylish desktop computers offer full HD 1080p displays with optional touch screens on edge-to-edge glass, recessed edges to hide connectors to any external devices and a slim-line folding stand that allows users to tilt the display at various angles. All of this paired with superior sound from SRS Premium Sound 3D™ Onkyo speakers make them an attractive productivity and entertainment device for the busy home. 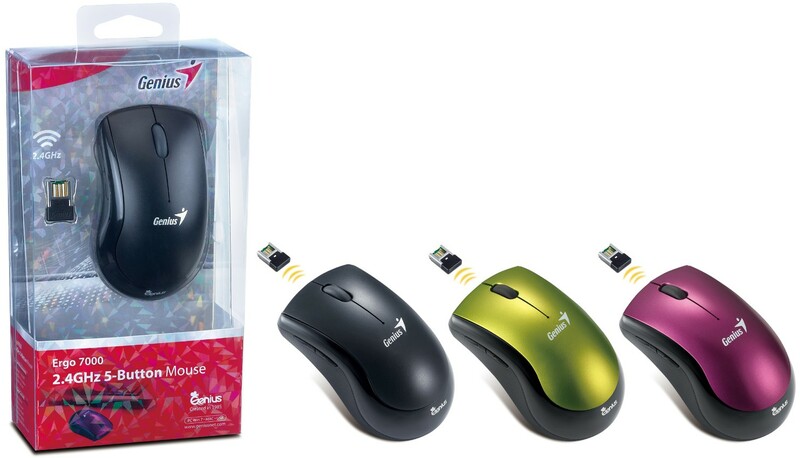 Genius, a Taiwan based international leading company in computer peripherals, presents the Ergo 7000, latest 5-button mouse, compact to carry and easy to use in a comfortable design. Ergo 7000 uses the most advanced 2.4GHz auto frequency –hopping technology to reduce interference for ultimate smoothness. Its Pico receiver is small enough to leave in one’s notebook and the stick-N-Go mount keeps the mouse stationary when one is moving around. It also features two extra buttons for programmable functions and the power saving technology can extend battery life up to six months. Also in order to relive memories of one’s first Genius mouse, Genius introduce the dual-logo Ergo 7000 as a classical anniversary model for the very unique collection. PNY Technologies Inc. have issued a customer advisory warning customers about counterfeit products in the market. A press statement states that recently it has come under PNY notice that many fake HP pendrives are being sold in the market to unsuspecting customers, who notice the problem only after they have already bought the counterfeit products. The company states that Balaji Solutions Ltd and Fortune Marketing Pvt Ltd are the only authorized importers and distributors of HP and PNY USB flash drives in India. Similar-looking products purchased from unauthorized distributors are likely to be counterfeits and will not carry any warranty, it asserts. 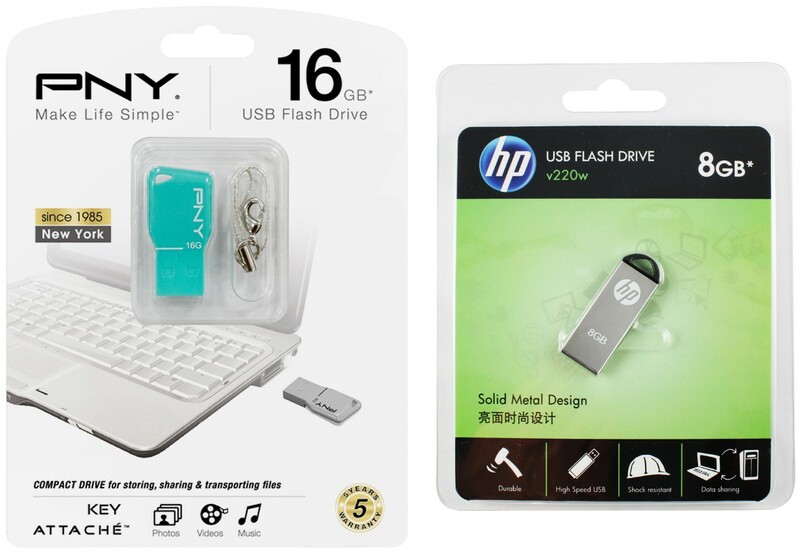 To make sure that customers purchase only genuine HP and PNY pendrives may check for genuine packaging.To find out complete information about what products are available from authorized distributors visit PNY’s India Facebook at http://www.facebook.com/PNYIndia#!/PNYIndia/app_341908712540542, where information related to RMA and product repair service is available. ADATA Technology Co., Ltd. today announces the launch of the DashDrive Choice UC500 USB flash drive. This latest USB 2.0 interface entry offers a distinctive design as well as striking colors, once again, demonstrating ADATA’s determination and ability in bringing style and flair to the realm of digital storage. After announcing the company’s new product family in June, ADATA has moved quickly to release products that embody the speed and portability signified by the DashDrive name. Products in the DashDrive Choice group embody the industry’s most elegant designs, and are targeted towards fashion-conscious users who see the purchasing of digital accessories as an opportunity to make a personal style statement. DashDrive Choice UC500 sports an attractive curved bottle shape, with color choices of golden champagne and sparkling red. The glossy metal exterior adds durability to the eye-catching design allowing users to carry their ‘memories in a bottle’ with confidence and pride. The UC500 is small and is easy to carry with an integrated strap hole for use with a keychain or lanyard. The sliding type USB connector eliminates the need for a cap. Capacities of 8, 16, and 32 Gigabytes ensure ample storage space for treasured personal data. The DashDrive Choice UC500 is now available through selected distributors and resellers. 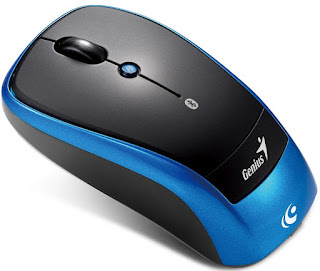 Genius launches the Traveler 9005BT, a new Bluetooth Blue Eye optical mouse featuring the innovative “Turbo Scroll” function for better Internet or document browsing.The Genius Blue Eye Technology lets one work on virtually any surface while the Bluetooth EDR 2.0 Technology ensures a reliable working distance of up to 10 meters. Featuring new Bluetooth technology, one can easily connect various devices among three operational systems, Android 3.0+, Windows 7/XP/Vista and Mac OS X 10.4 or later. Additionally the Traveler 9005BT has a four directional “Turbo Scroll” function key for more natural and convenient scrolling, just by moving the mouse in the direction one want to scroll. With the hyper fast scrolling feature one can speed scroll through documents, spreadsheet and web pages. The traveler 9005BT features a sporty streamline design and fits comfortably on either hand. Comes with the warranty of 3years. The Traveler 9005BT is an ergonomic optical mouse that lets one scroll or surf on virtually any turf! 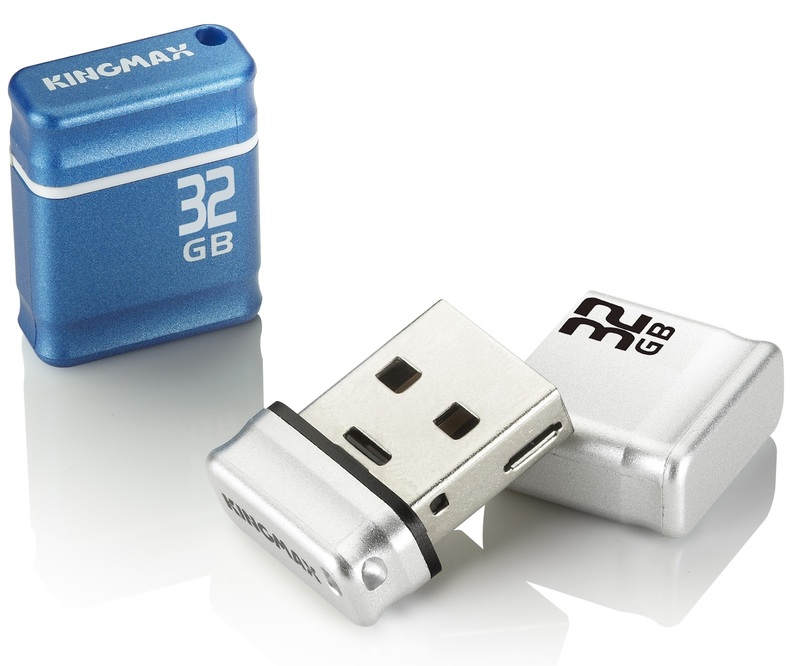 KINGMAX recently launched super mini flash drive – PI-01. Its tiny size fits car audio, tablet and notebook well; and it is so short that users might even forget its existence. PI-01 comes with two colors: sapphire blue and mist silver, and capacity of 4GB/8GB/16GB/32GB. The tiny size of PI-01 protrudes only 0.7 cm long from USB port. For drivers, even under the circumstance of limited car interior space, which surrounding by many connecting devices or wires, PI-01 is so mini and short that it could fit USB port without being hit or getting stuck with other objects. PI-01 is tiny but capacious; the largest capacity 32GB model is able to save around 8,000 MP3 songs. With PI-01, drivers and passengers can enjoy a steady stream of music and don’t need to change disks anymore. For its shortness, PI-01 is also very suitable for notebooks and tablets. As notebooks and tablets are getting lighter and thinner, mini PI-01 is particularly a perfect match for them. When using PI-01 in a narrow working area, it is needless to worry about interfering documents or stationary nearby. It is not troublesome at all to leave PI-01 in notebook or tablet while you’re on the move. Two choice of colors; sapphire blue shows your personality and mist sliver goes with every 3C products. In addition, there is tiny hole at the end and one hanging strap included, allowing you to hang PI-01 with a key chain or a lanyard to become a convenient portable accessory. PI-01 flash drive meets the RoHS regulations (Restriction of hazardous substances in electronic and electrical and electronic equipment), and were certified by CE and FCC; It supports Microsoft Windows 7 and other major OS. All KINGMAX USB flash drives undergo strict quality control and are back up with 2 years warranty services to ensure premium product quality and flawless customer services.